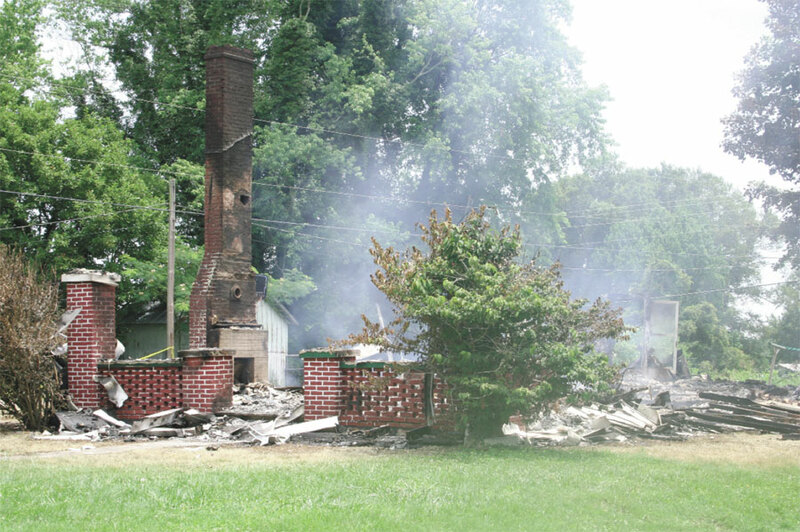 BOWLING GREEN, Ky. – A federal jury found Steve “Boo” Pritchard guilty Thursday of setting a house fire on June 30, 2011 and is holding him responsible for the death of firefighter Charles Sparks. Sparks suffered a heart attack while fighting the fire and died eight days later. The jury was given several options but found Pritchard guilty of the most severe charge, committing an arson that directly or proximately caused the death of a public safety officer. Their other options were to acquit him on the charge or find him guilty of arson but not include the enhancement pertaining to Sparks’ death. Pritchard could face life in prison. The jury was instructed that Prichard could be convicted of the most serious charge if they determined that his actions were a “substantial factor” in causing Sparks’ death. Pritchard stood trial in U.S. District Court in Bowling Green. The case started last Friday with jury selection and opening statements. On Monday, the prosecution began presenting its case and wrapped up at lunch Wednesday. The defense wrapped up Thursday around 11 a.m.
Pritchard’s girlfriend at the time and later his wife, Brandi Waggener Pritchard, has already pleaded guilty to arson and mail fraud and testified on behalf of the prosecution. Brandi Pritchard expects to receive a reduced sentence recommendation from the U.S. Attorney’s office because of her cooperation. She is scheduled for sentencing on July 31. The fire department was called to the scene at 3043 Liberty Rd. at 3:05 a.m. on June 30, 2011. Firefighters were on the scene of the fire at 3:12 a.m., but by 3:47 a.m., the priority changed from fighting a fire to taking care of one of their own. At the time Sparks collapsed, firefighters were just getting the fire under control. 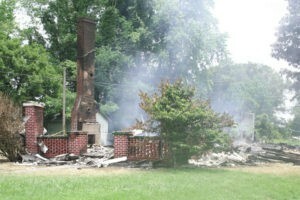 Following the medical emergency, all priorities shifted and the fire was not extinguished. Emergency personnel performed CPR on the scene and Sparks was taken by ambulance to the Columbia hospital. He died eight days later in a Louisville hospital. Numerous scenarios of how the fire was set were given throughout the trial, with different witnesses saying either Brandi or Steve Pritchard admitted to setting the fire, or saying that Steve Pritchard said he started the fire on the top floor and Brandi started the fire on the bottom floor. Witnesses talked about constant arguments between the couple and prosecuting attorneys discussed three different emergency protection orders filed by Brandi Pritchard. Law enforcement was first brought into the case on Sept. 8, 2011 when Steve Pritchard told Kentucky State Police that Brandi set the fire. She had filed an EPO against him just days before. He later recanted the allegation but repeated it again on Feb. 2013, a day after she filed another EPO. Nute Bonner, Assistant US Attorney, summarized the prosecution’s case during closing arguments. Brandi Pritchard obtained renter’s insurance for $50,000 in coverage just days before the fire. She admitted during testimony that she falsified some items and exaggerated the value of others to collect the full claim. She never admitted to setting the fire while on the stand and insisted she told Steve Pritchard not to set it. While the bank checks from the insurance policy were written to Brandi and deposited into her account, the jury believed that Steve Pritchard benefited from the money and was part of the scheme. Brandi had provided a hand-written list of items she said Steve wrote and instructed her to add to the insurance loss report. She also said a check she wrote for cash for $8,000 went to Steve to purchase a motorcycle. While the motorcycle was titled in Brandi’s name, the seller of the bike said Steve purchased it. Brandi and Steve Pritchard both apparently lied about where they were that morning. FBI obtained cell phone data to determine their locations, and data contradicted their stories. Steve Pritchard said he left the house around midnight to travel to Louisville to pick up glass for a company in Campbellsville. Brandi Pritchard lied about what time she left for work that morning. At first, Brandi said she drove to work in Somerset but later told investigators that Steve drove her to work. Cell phone data supported her latter claim. Phone records showed Steve Pritchard east of Russell Springs at 3:49 a.m. Further records would coincide with him dropping Brandi off at work then returning to Columbia. Brandi logs into a computer at work and her log in time was 3:34 a.m. (all times were converted to central). Brandi said Steve bragged that he had set fires before. Prosecuting attorneys documented the fires took place, which included two mobile homes and two automobiles. In each case, property owners received payments from insurance companies. The fires date from December 2007 through December 2010, just six months before the deadly house fire. 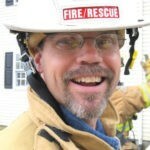 In a house fire incident that occurred in 2007, Pritchard was the one who called 911 and reported the fire. Prosecution also confirmed that the boyfriend and later husband of the property owner of a house that burned in 2010 was also the witness who called 911 when Steve Pritchard’s car burned in 2009. Pritchard’s attorney, Donald Meier, began defense testimony Wednesday afternoon with the former renter of the residence, who said she moved out partly because she was concerned about a popping sound in the breaker box after the property owner installed a heat and air unit on the second floor. Assistant US Attorney Weiser presented evidence that the fire started on the second floor and argued that the breaker box issue did not cause the fire. Dr. Divyesh Bhakta, who provided care for Sparks when he suffered a heart attack in 2005 and was a physician on Sparks’ case prior to his death in Louisville, testified for the defense. Bhakta said he could not say that exertion from fighting the fire was the trigger that caused the heart attack. Instead, Bhakta said that Sparks’ health issues with diabetes and heart disease could have been the trigger. Bhakta’s testimony countered the testimony of Dr. Thomas Hales, who co-authored a report about Sparks’ death for the National Institute for Occupational Safety and Health. 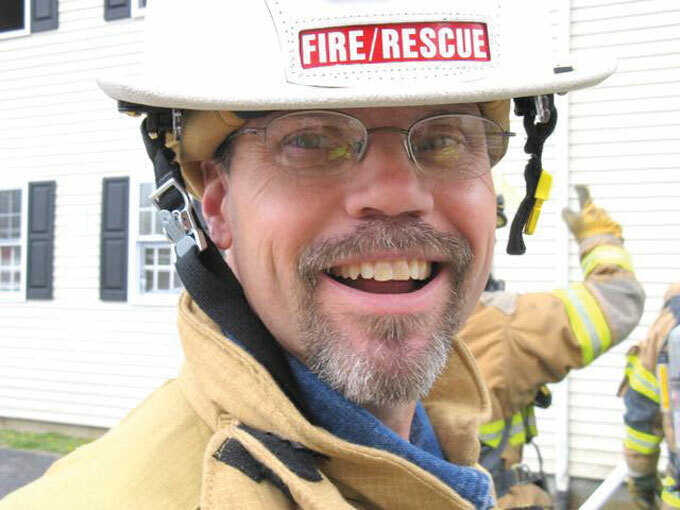 While Hales said Sparks had increased risk factors for a potential heart attack because of unchecked diabetes and history of a past heart attack, he said the heart attack that led to his death was triggered because of the increased cardiovascular event from fire suppression duties. Meier called on a number of witnesses to counter claims that Pritchard set other fires and witnesses who said they heard Brandi Pritchard admit to setting the fire. Pritchard did not testify during the trial. He is scheduled for sentencing on Oct. 11. Brandi Pritchard is scheduled for sentencing on July 31. Weier said he expects to appeal the case.